great book, especially if you're interested in buddism. I really enjoyed this book. 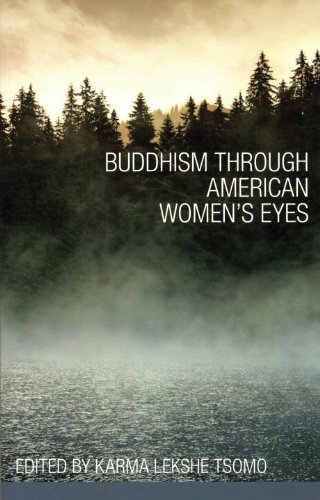 The book gets into the mind and spirit of American Buddhist women and the struggles that they go through, and how they find peace. The collection of essays provided by the women showed a grand spectrum of women's spiritual issues. I am very glad I was able to read the book. The book was mailed to Anaphoric Dave. I found this a mixture. Some of the essays were good and rang clear like a bell; in some the personal experience got lost in minutiae. Sent it on to gawdess.